Third-year Patriots corner Malcolm Butler may be on the top of the depth chart, but he's far from complacent. Speaking on Sunday about life in the NFL, Butler remarked that his career is "going by pretty fast." "That's why I enjoy every second of it," he said. "You only get that certain gap that you can play football, so I'm enjoying it, trying to do the best I can, trying to learn as much as I can because you can't play that long. " While Butler has a long road ahead of him in the league, he's definitely living in the moment: "Once you're done playing, you don't want to go back and say, 'I wish I could have done this or done that,' so [I'm] just doing the best I can." So far, Butler has been taking advantage of every opportunity. He's performed very well in training camp, and looks to build upon a solid season last year, his first as a #1 corner. As one of the bigger and more athletic corners on the Patriots' roster, Butler will be called upon to cover opponents' top receivers throughout the year, and so far he looks up to the task. However, he still isn't far removed from his days as an undrafted DII rookie, looking for a shot in the NFL. When asked about all the younger CBs on the roster, Butler responded, "I see myself in these guys. Like I said once before, coming in undrafted, trying to make the team, trying to get every rep, trying to learn the playbook, having a bad day. So I try to bring them up when they have a bad day. We've got to be here for each other." 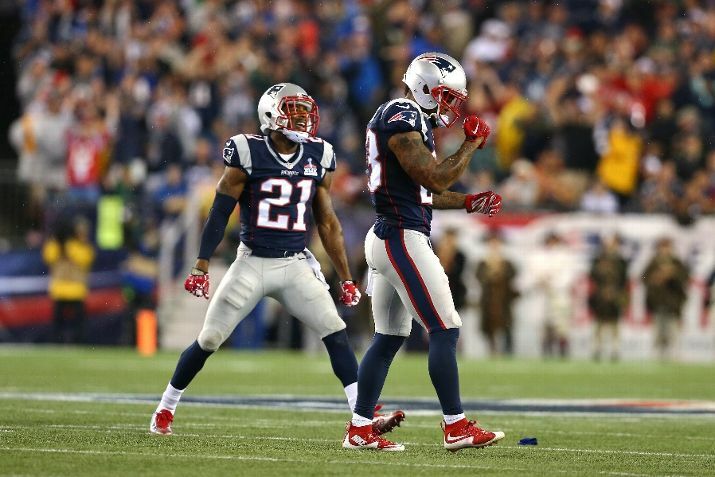 Butler is more than just a great corner--he's also the leader of the Patriots' secondary. With him locking down receivers for years to come and mentoring young up-and-comers behind him, the future looks bright for New England's defense.